Did you know 9 out of 10 people have dark circles? Today, I am sharing one of my most favorite and effective DIY with you. It has helped me a lot. Eyes are very delicate and the product that you use on them should be mild. 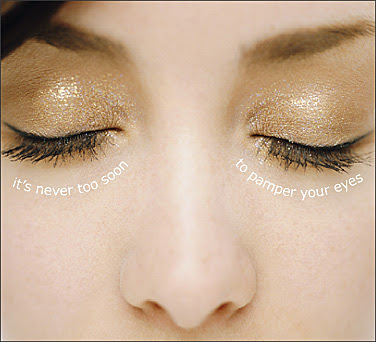 Most of the people will pamper their face and body with rich moisturizers but eyes are neglected. To avoid those horrifying dark circles its important that you don’t hydrate them with a face moisturizer containing chemicals. 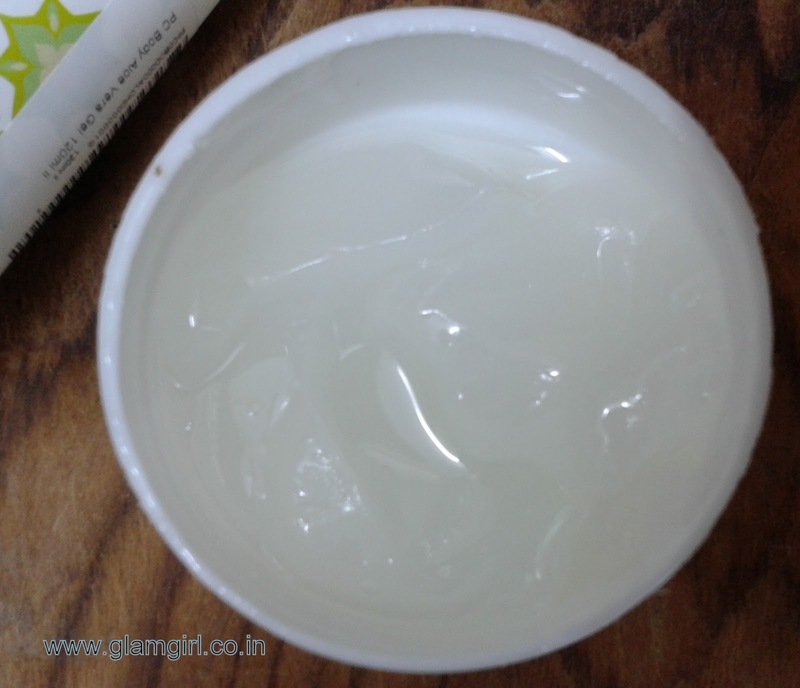 DIY eye cream is mild, hydrating, soothing, loaded with goodness of vitamin E and cures dark circles.Skin becomes dark when it doesn’t get proper nutrition, I have added vitamin E to fill that gap, it will give necessary nutrition to your eye skin therefore reduced dark circles. Step 1: Aloe vera is used for almost all the skin problems like sunburn, tanning, uneven skin tone. Here I am using Fabindia aloe vera gel. Take full 2 tsp of aloe vera gel in a jar. 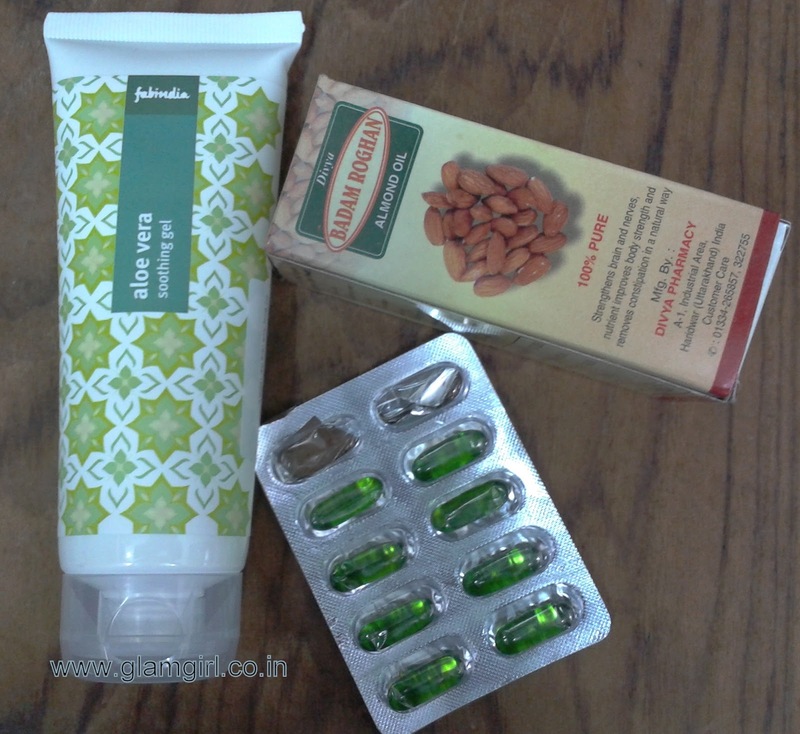 Steo 2: Now squeeze 3 vitamin E capsules in it. Step 3: Almond oil is also rich in nutrition for skin. Add 1 tsp of almond oil in it. If you feel its not greasy enough then you can increase or decrease the quantity according to your choice. Step 4: Mix it with fork. 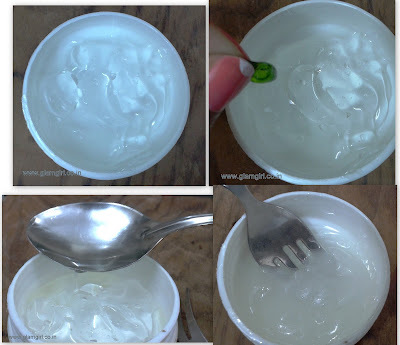 After mixing all the ingredients well you will see that the cream’s color has changed, it’s no more transparent. Now your eye cream is ready and your dark circles won’t last long. I have swatched the eye cream on my hand . Apply it every night before going to bed. It will sooth and give cooling effect to your eyes, after all days tiring work it will make you feel relaxed and last but not the least, reduce dark circles. I hope you like this tutorial. I’d love to share your experience. P.S. This cream doesn’t smell so good, so you can mix few drops of your favorite fragrance oil. For eg. lavender oil, lemongrass oil etc.